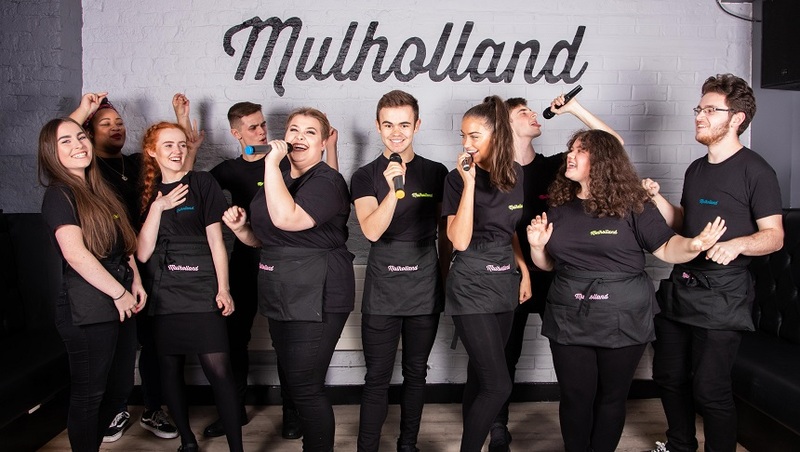 Mulholland is the UK’s first singing waiter diner! 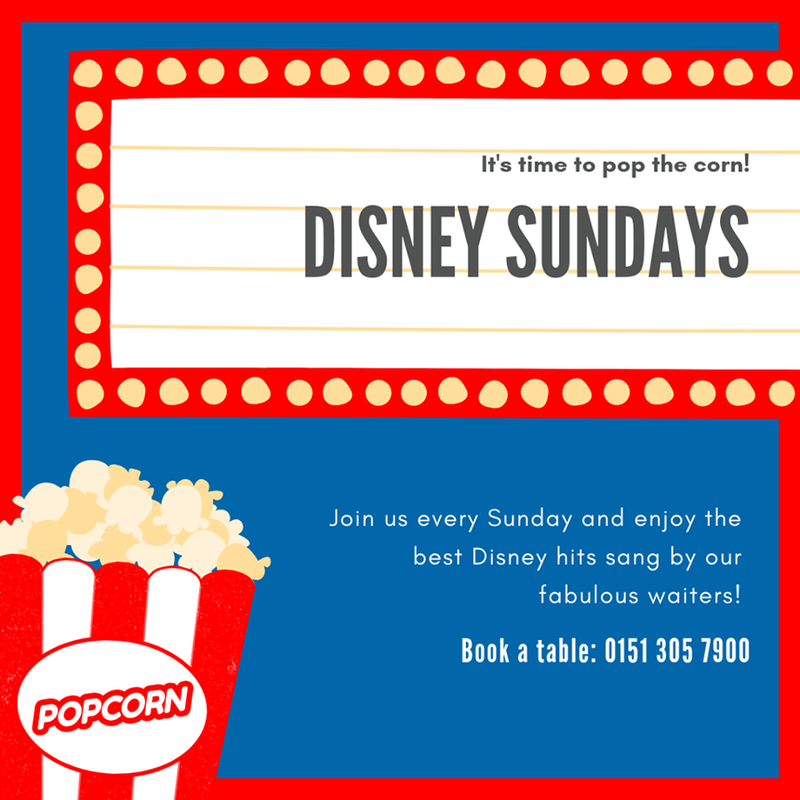 Based in the heart of Liverpool city centre, the popular venue hosts Disney Sundays at the weekend, perfect for a family day out or birthday treat. 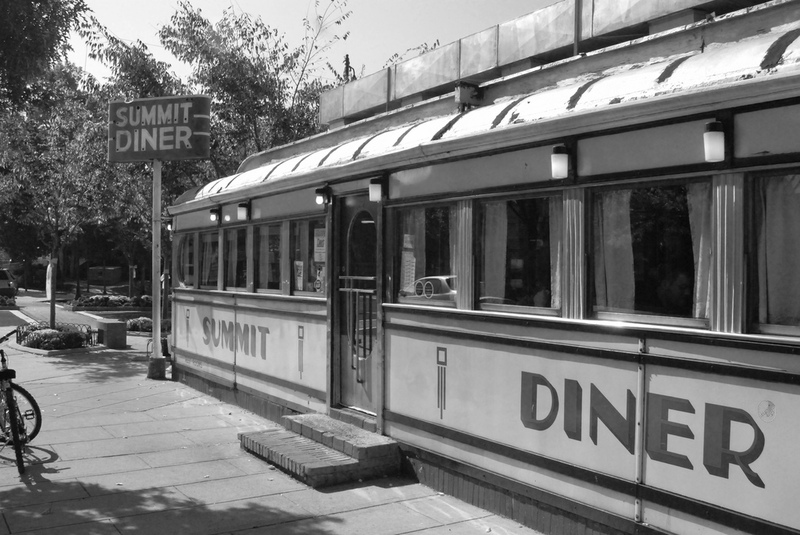 The showstopping diner has something for everyone! Certain to bring out your inner big kid, you’ll find yourself singing along at Mulholland in no time. 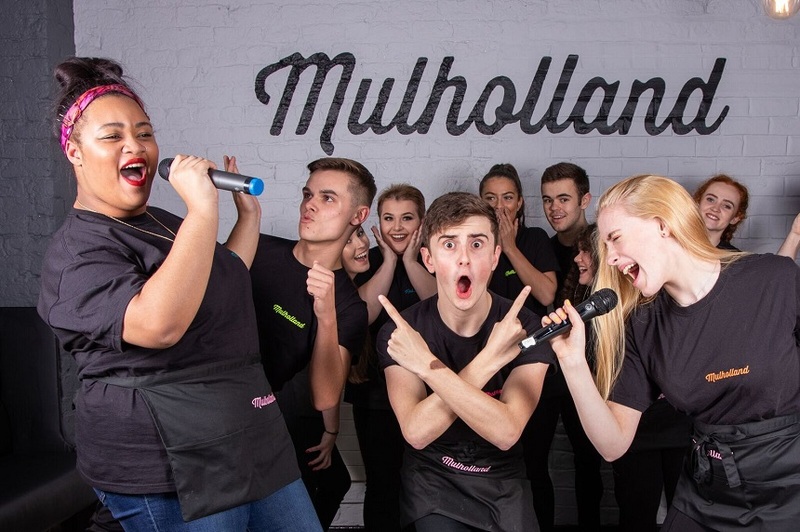 Bringing a sprinkle of Broadway magic to Liverpool, Mulholland Singing Diner will transport you to a whole new world! 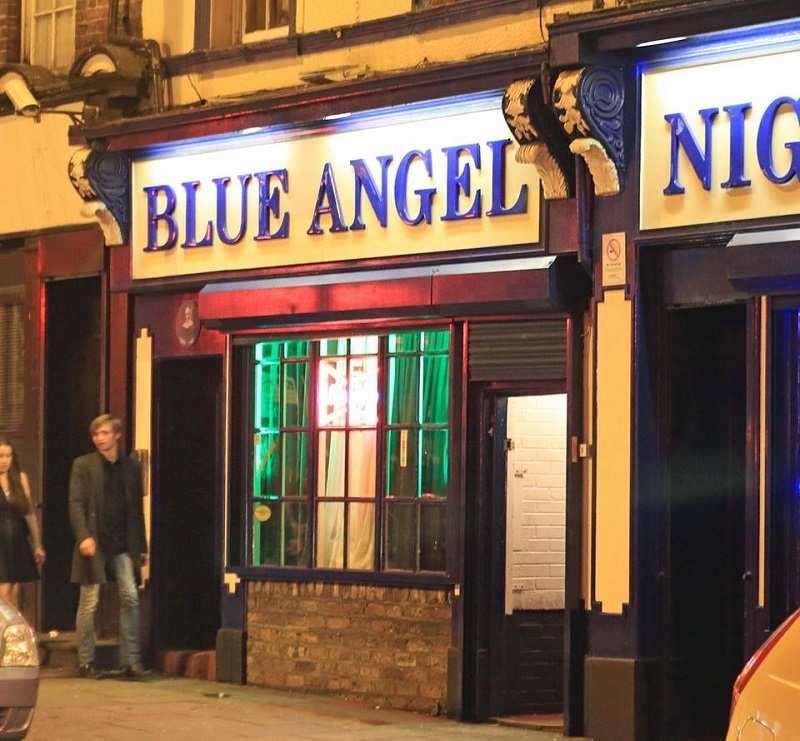 The feel-good venue will lift your spirits as you sit back, relax and enjoy the show. 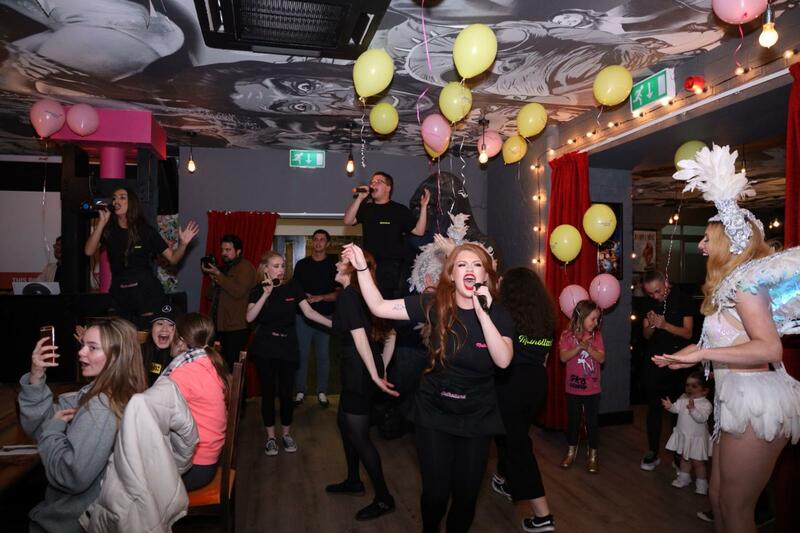 Disney Sundays bring your favourite movies to life as our talented singing waiters take centre stage. From Disney classics to the hit musicals of recent years, you can look forward to a wide range of Disney themed entertainment. So, why not Be Our Guest this Sunday? Our fabulous waiters are known for their dazzling service guaranteed to impress. Disney Sundays are the perfect way to round off the weekend with some feel-good entertainment and childhood nostalgia. 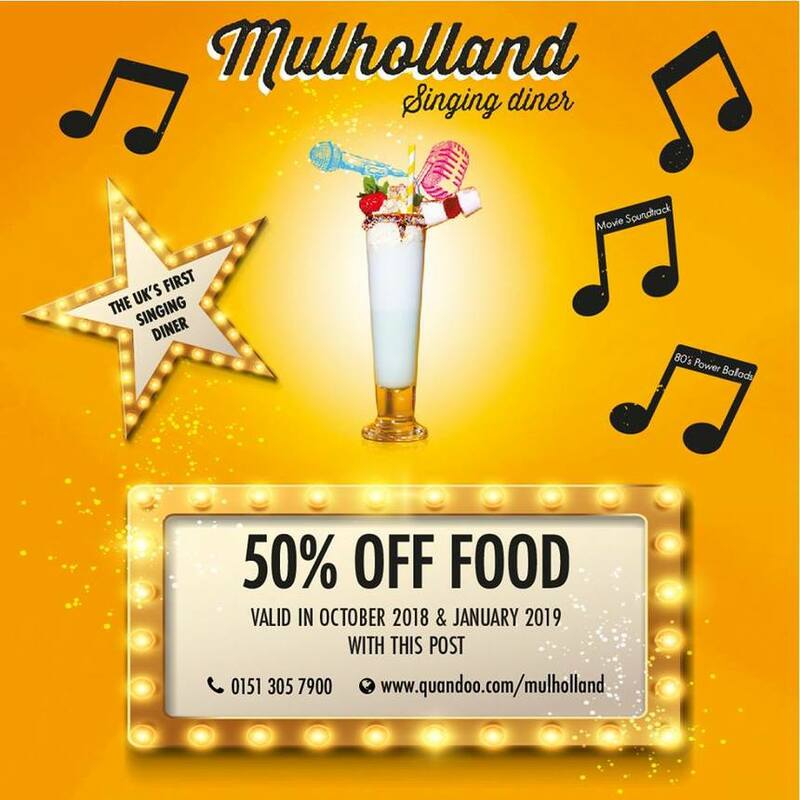 Mulholland serves a wide range of delicious pizzas, hot dogs and sides with musical themed twists. 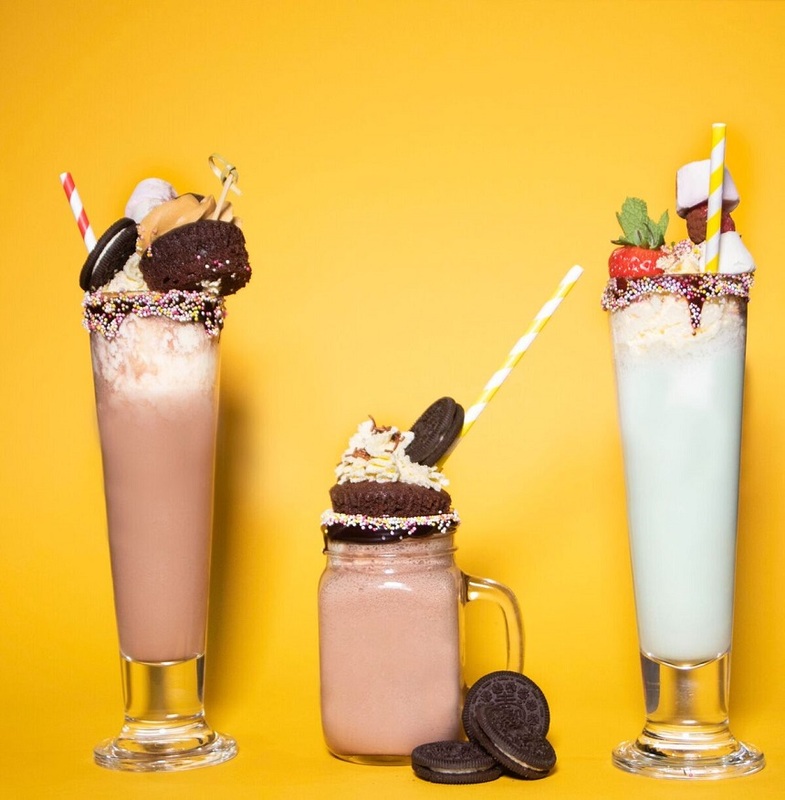 Plus, our American inspired diner serves up unmissable million-dollar milkshakes for the ultimate treat. The atmosphere of Mulholland is truly one of a kind. We’ve had rave reviews since launching this autumn and have even been featured on BBC News. 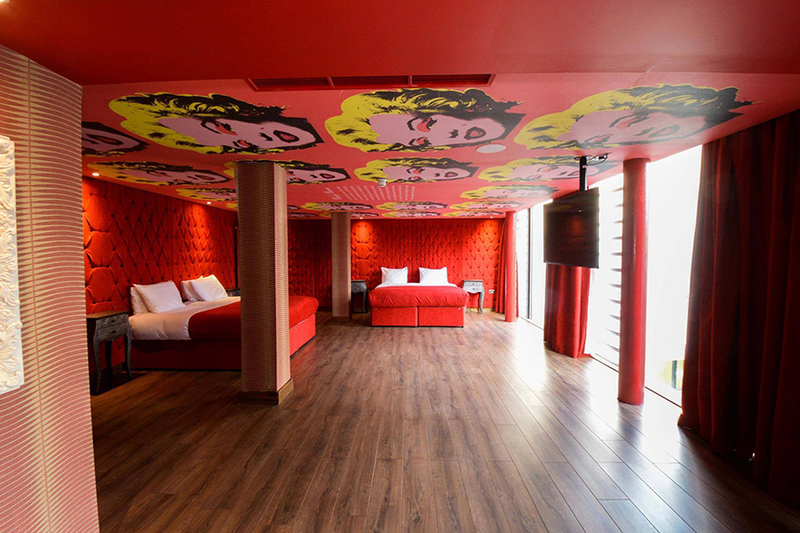 Mulholland is located on dynamic Seel Street within Liverpool’s movie-themed Arthouse Hotel. The unique party hotel is perfect for celebrating special occasions in the city. We always have a wide range of special offers to choose from, ensuring your stay is nothing short of magical! Our Family Sing & Stay offer is particularly popular for those wanting to experience both the hotel and the diner. To enquire, please get in touch with our friendly team on 0151 601 8801. This Friday is officially National Pizza Day and what better way to celebrate than with a visit to Mulholland, Liverpool’s favourite pizza parlour. 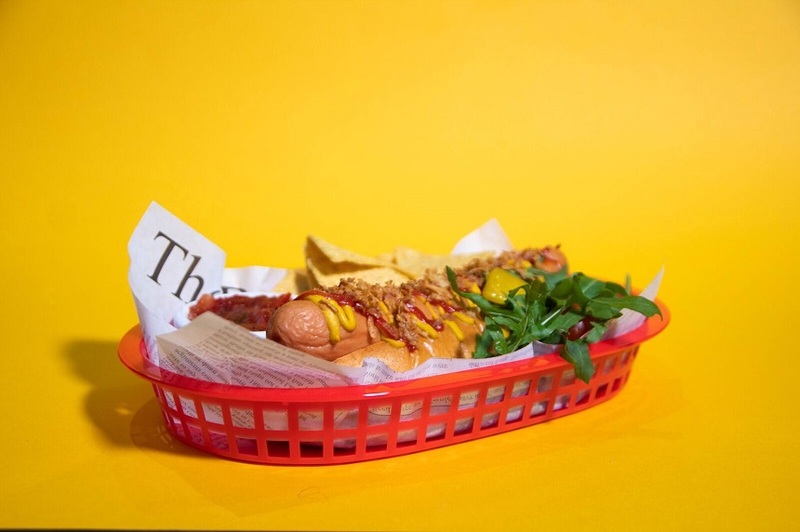 Our amazing restaurant serves up a brilliant range of flavours that are sure to have mouths watering, from classics to some wacky twists on the traditional. So, what are you waiting for? Take a look at some of our unique topping combinations and start planning your pizza-packed Friday. 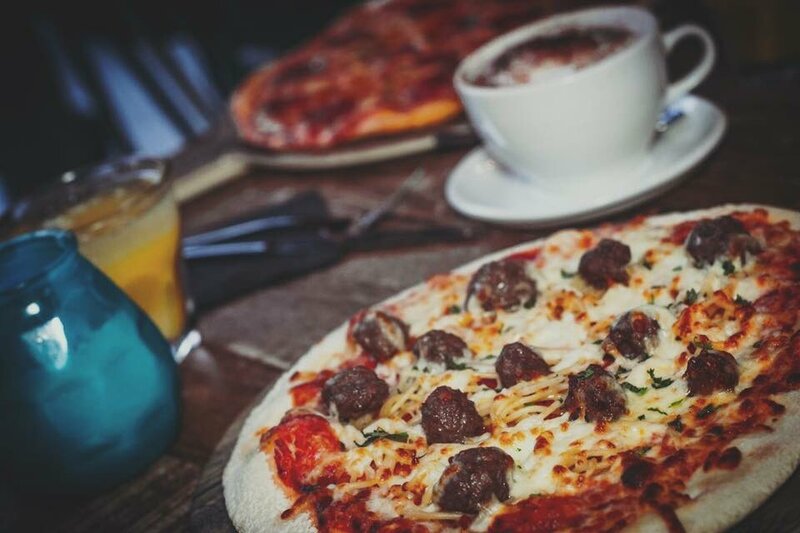 One of the most popular pizzas on our menu, the Meatball and Spaghetti merges two Italian favourites to create a tasty pasta-pizza combination. Enjoy perfectly cooked meatballs on a base of delicious pasta, creamy cheese sauce and a tomato base, sprinkled with basil. 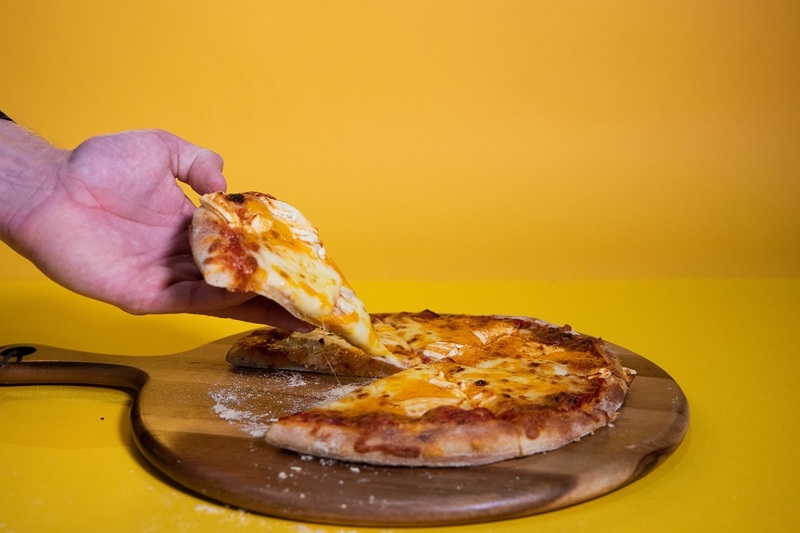 It’s the ideal pizza to indulge in this National Pizza Day. 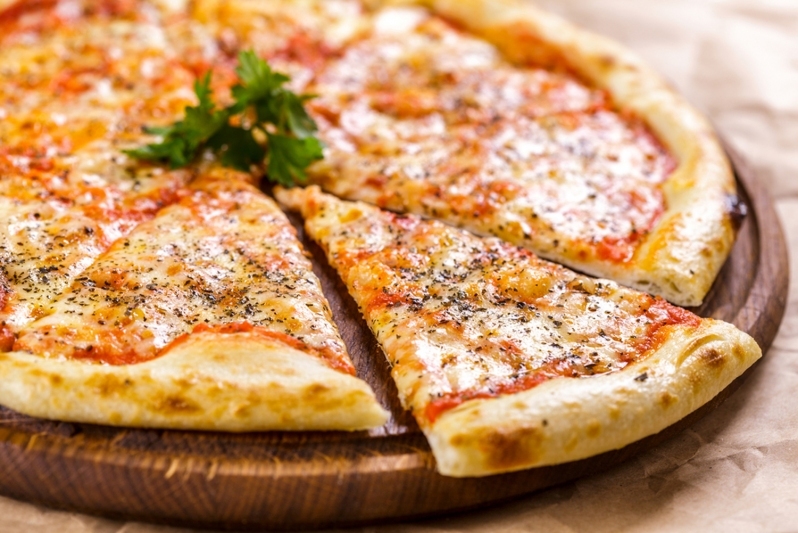 If you’d prefer something a little more simple, why not go for our Margherita? Made from a classic base with a rich tomato sauce, lots of cheese and a good helping of black pepper and basil, you won’t be disappointed. Looking for a pizza with a spice explosion? 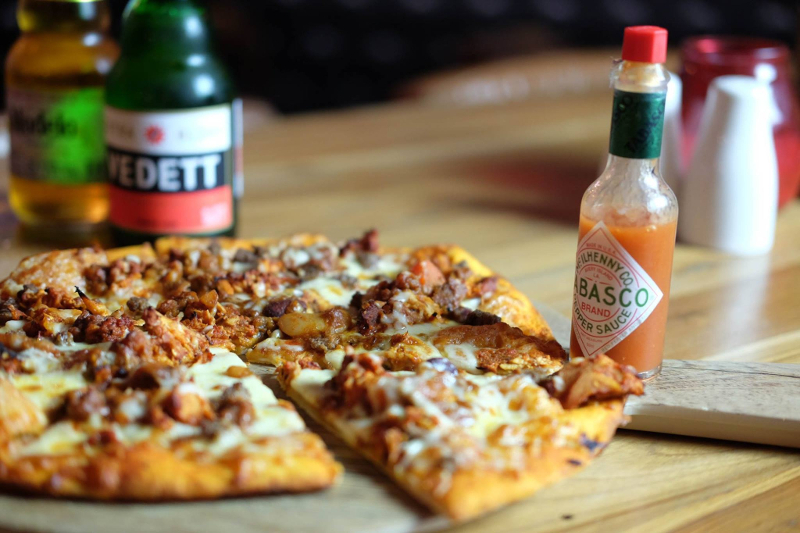 Look no further than our Chill, Jalapeno, Spicy Beef, Cajun Chicken and Tabasco pizza. Loaded with flavour and hot sauce, this appetising main dish is perfect for chilli lovers. To cool your mouth down, try it with an ice cold bottled beer and really make the most of National Pizza Day. One of the veggies, our Artichoke, Olive and Roasted Pepper is a fresh and flavoursome pizza that is always a crowd-pleaser. A delicious mix of Mediterranean toppings, mixed with traditional Italian flavours and a good helping of cheesy goodness, this pizza pie is the ideal treat. If you’re still not done stuffing your face with pizza, we also offer an amazing dessert pizza. 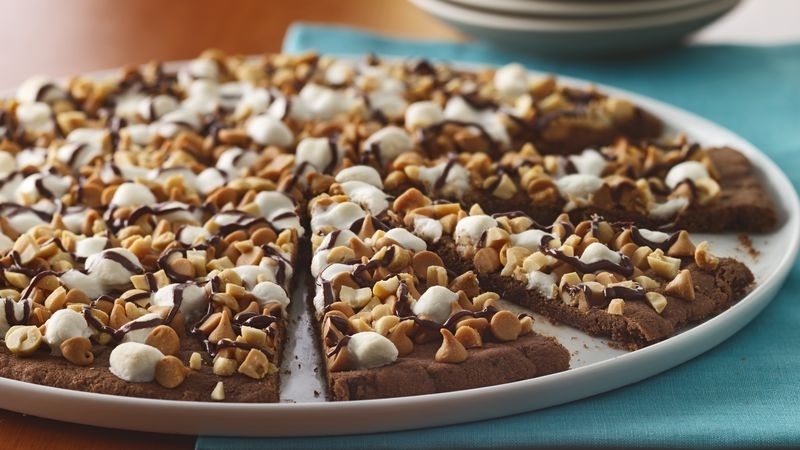 You can enjoy our stuffed marshmallows and chunks of dark and milk chocolate on top of a sweet pizza base. A mouthwatering option that is sure to make your day. Really make the most of National Pizza Day this year with a visit to Mulholland. 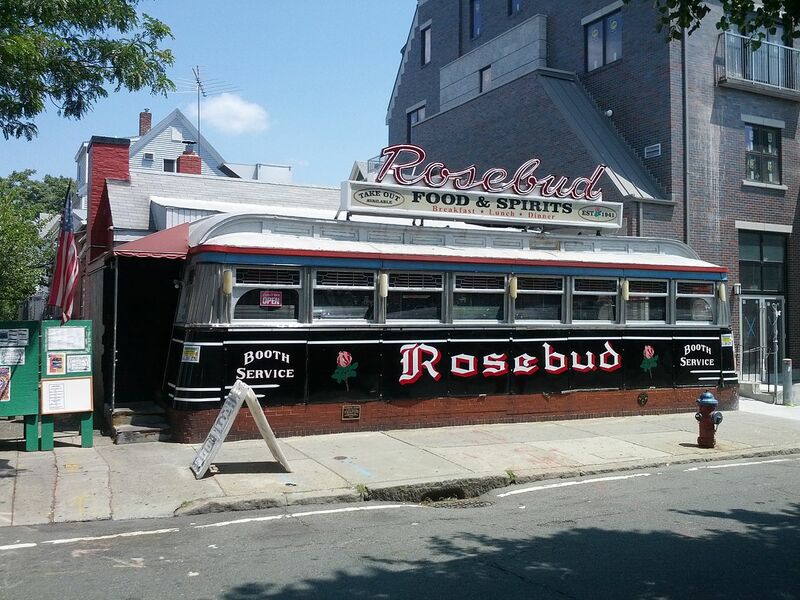 Set within the Arthouse Hotel, but with a whole identity of its own, this quirky venue transports visitors into a vintage Hollywood bar experience. 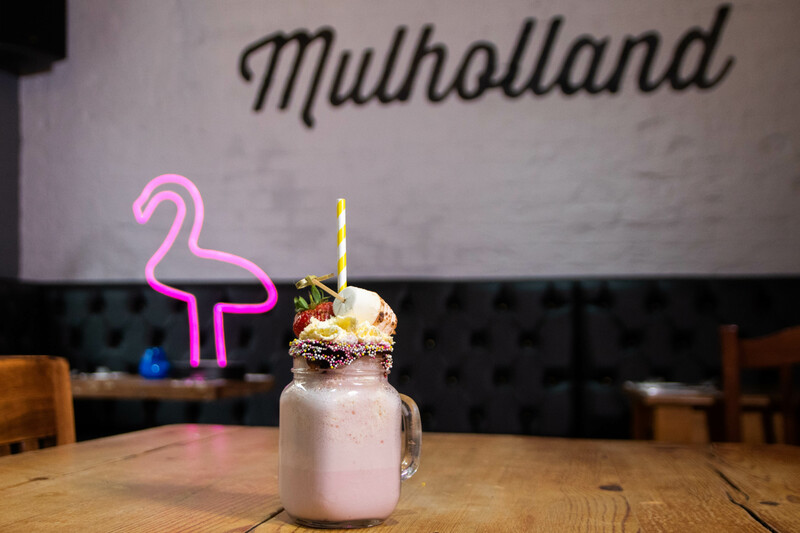 An American themed establishment, Mulholland is a distinctive bar and restaurant serving delicious food from brunch to pizza. 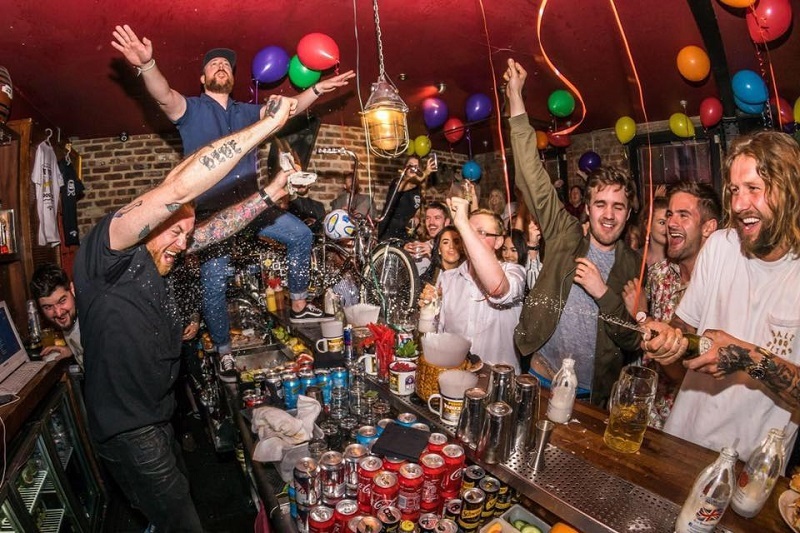 Plus, a wide range of tasty drinks and cocktails all expertly mixed by talented mixologists. Named after the street and road in the eastern Santa Monico Mountains of Southern California, Mulholland’s unique logo represents the star of Hollywood and the wheat used to brew beer. 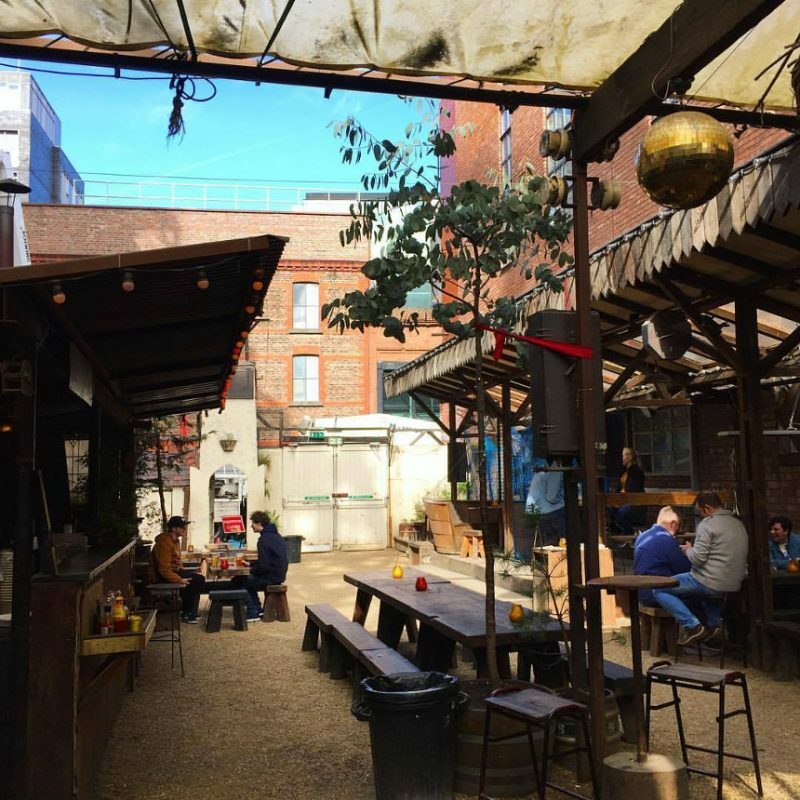 The famous road has featured in numerous movies, songs and novels, making it the perfect name for a trendy bar that celebrates Hollywood and its culture. 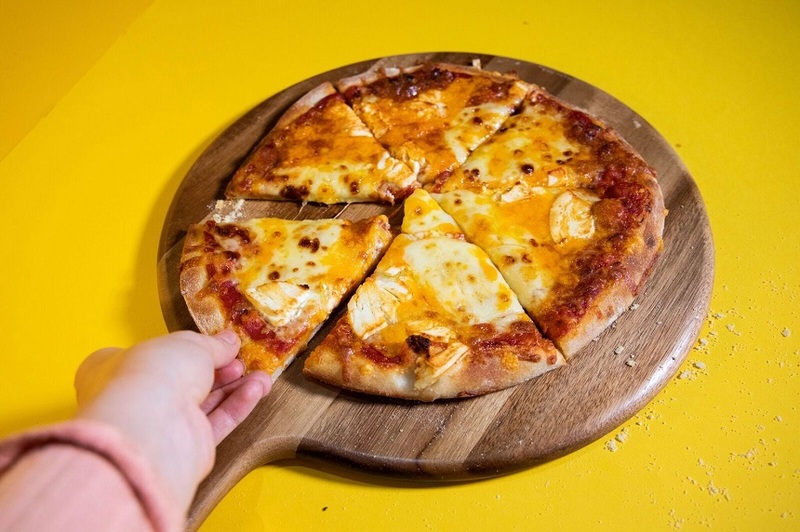 Indulge in some of the most delicious pizzas in Liverpool this National Pizza Day. 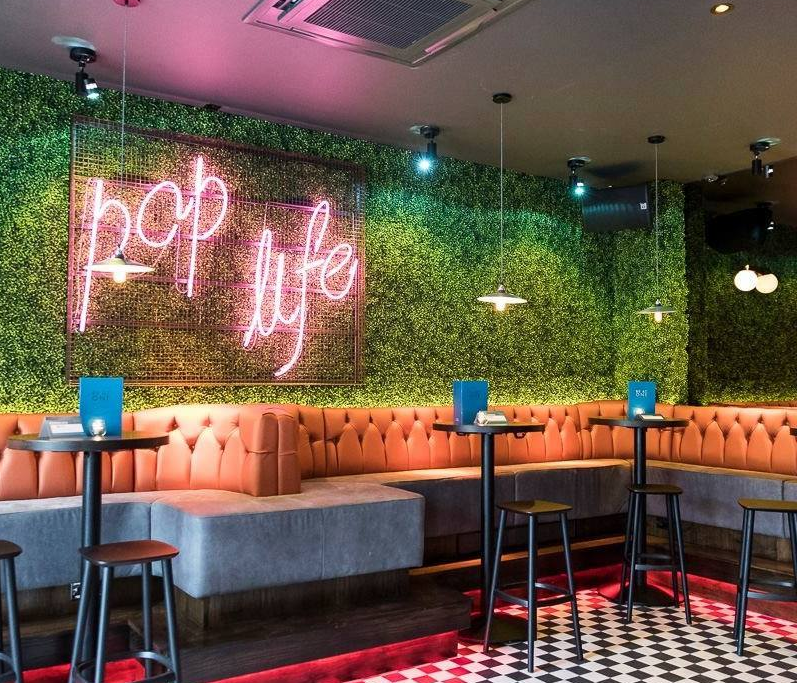 To book a table, get in touch with our friendly team today and celebrate in style. This Christmas, give ordinary a miss and embrace the best of Christmas at Arthouse Hotel. 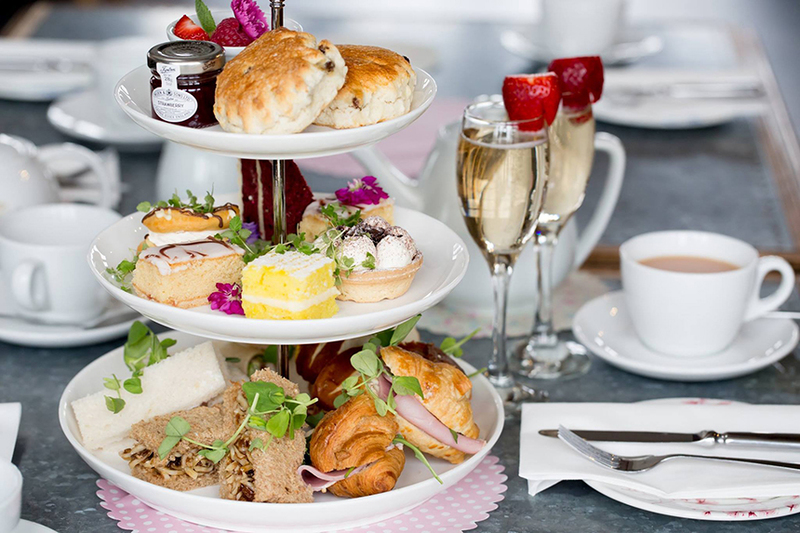 Price: £29.95 pp including entry, entertainment, pizza, a side plus three drinks tokens for the bar. 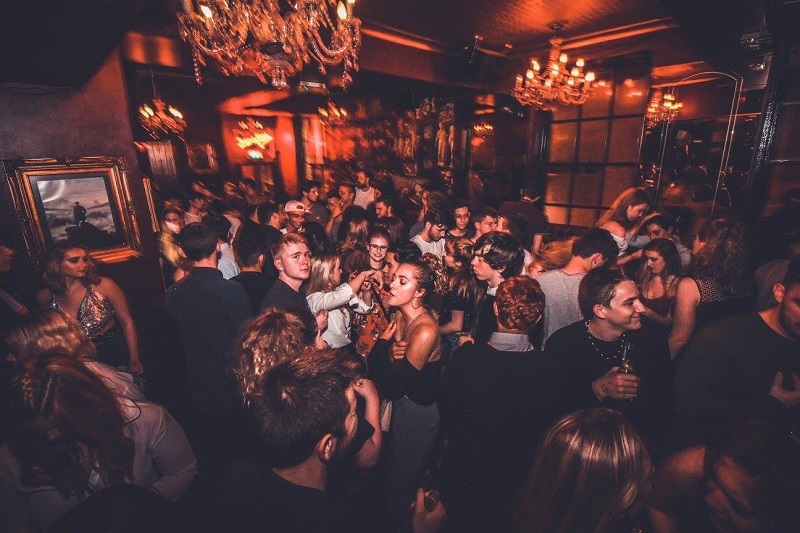 Renowned as one of the best party hotels in Liverpool, we don’t do the Christmas season by halves! 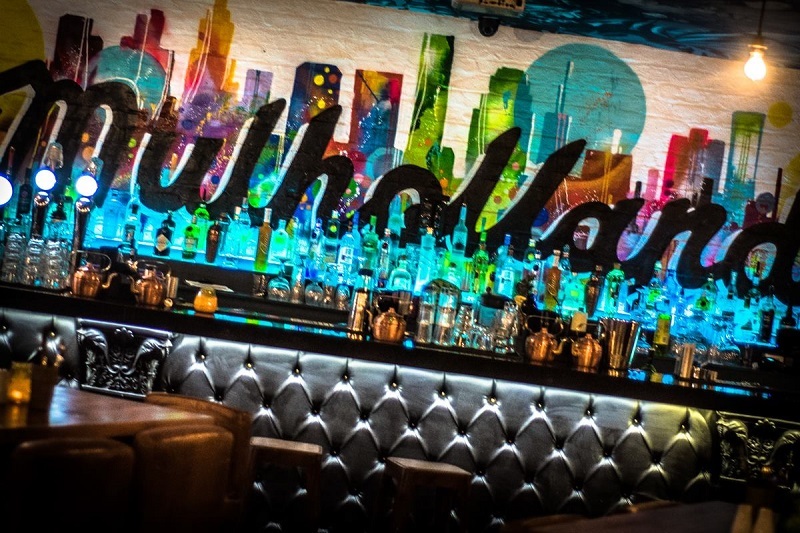 Christmas parties at our Mulholland bar incorporate everything you could wish for over the festive season. 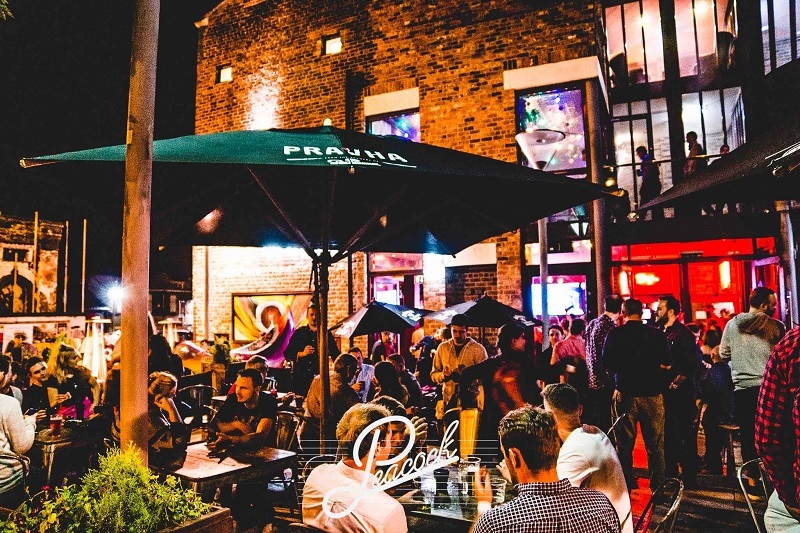 Situated along vibrant Seel Stret, dance the night away with spectacular entertainment from our world-class DJ. You’ll also be able to choose from delicious Christmas cocktails guaranteed to spread some Christmas cheer! Choose from American mustard and sprouts, onions and corn or even brown sauce and red cabbage. 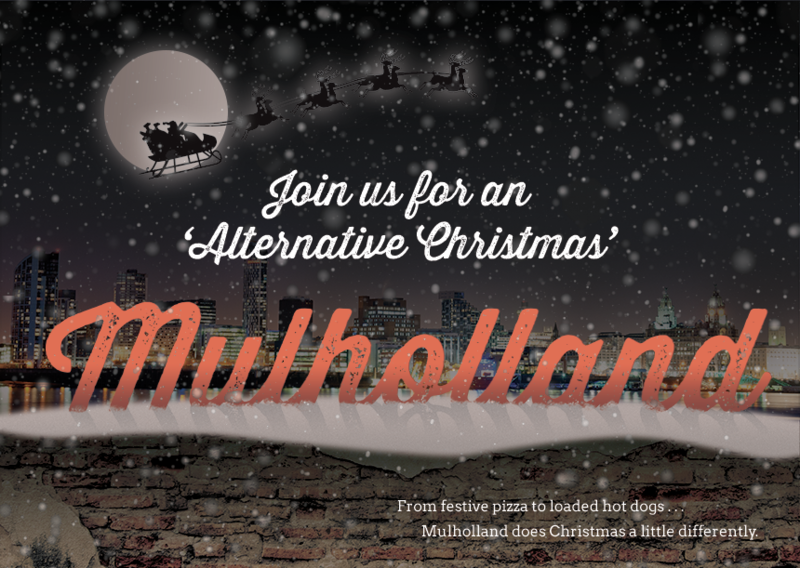 We’ll also be giving our famous Mulholland pizzas a seasonal twist that you won’t want to miss. 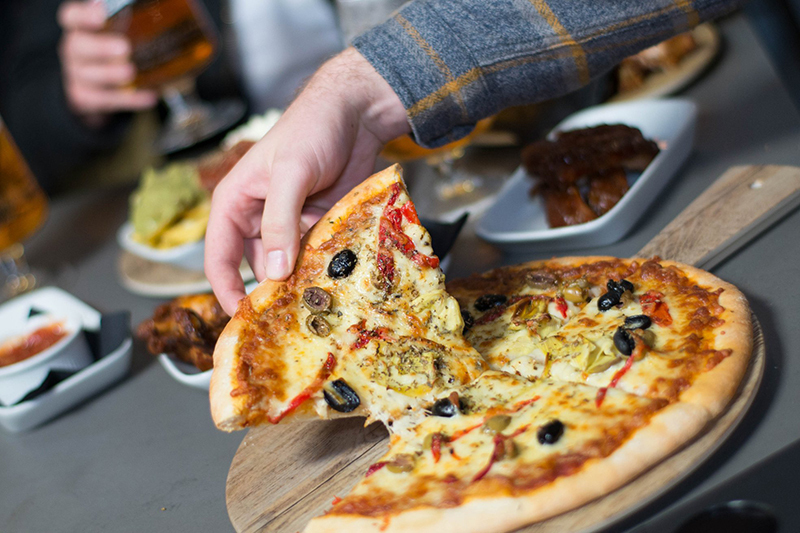 Find yourself spoilt for choice with our Dirty Santa pizza, Dead Rudolph or This Little Piggy. 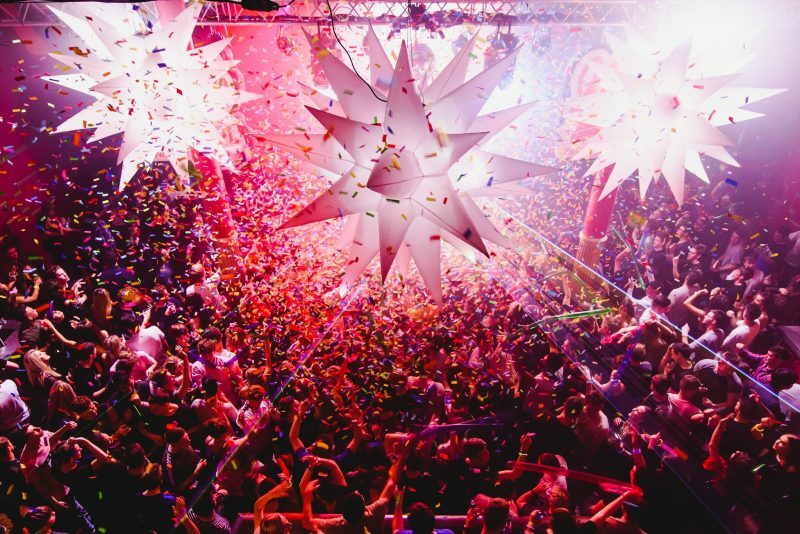 The best news is that the party doesn’t have to stop there! 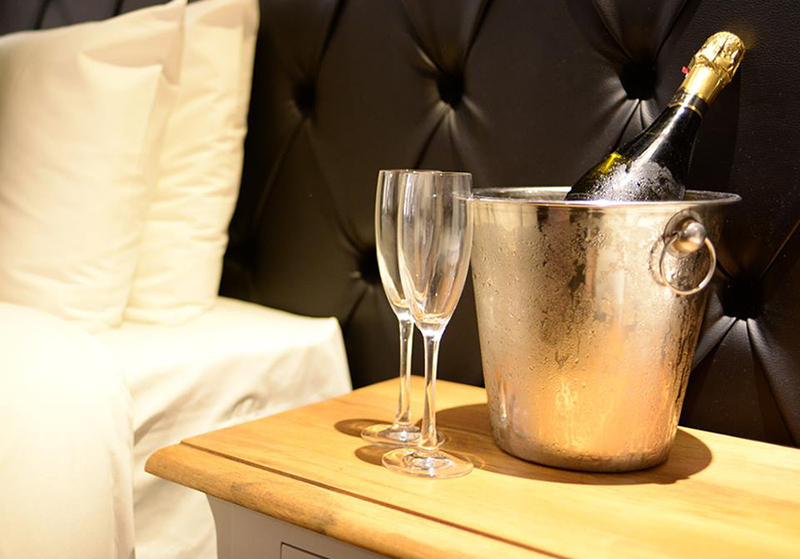 Let the festivities continue with a dazzling overnight stay at Arthouse Hotel. 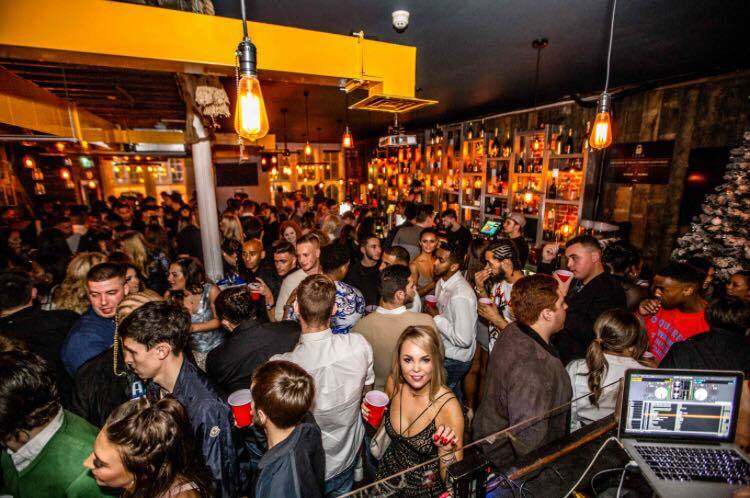 Only moments from the city’s leading nightlife venues, we’re right in the heart of it all. 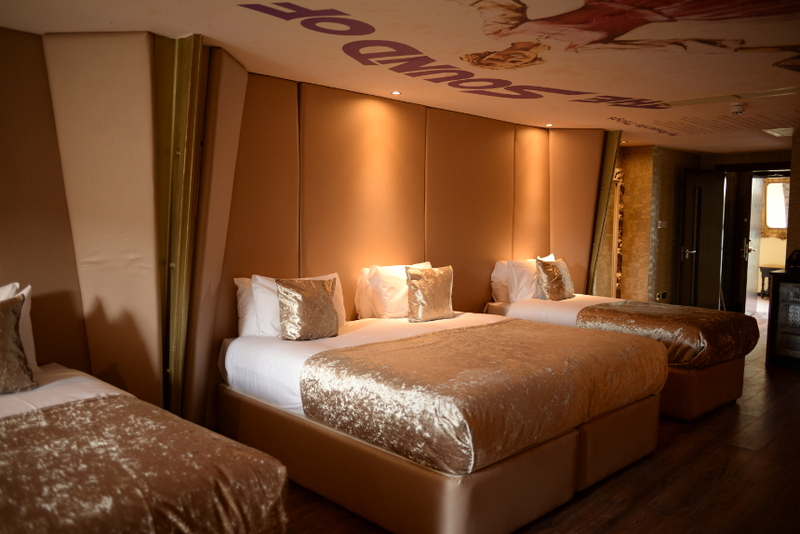 We suspect you may fancy taking the party upstairs and spending the rest of the night in the comfort of your own room. 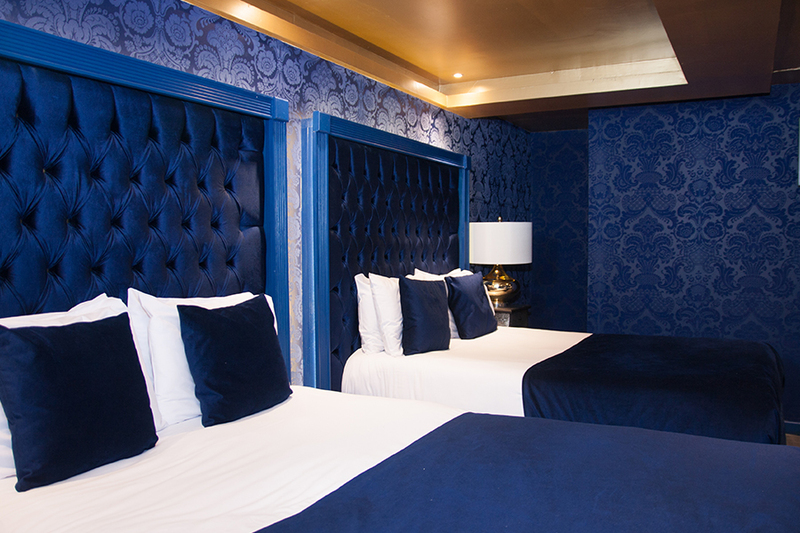 With one of our spacious rooms and suites, you can kick off the heels but continue the fun with your group. This Christmas, we have an array of unmissable Christmas hotel offers to choose from. 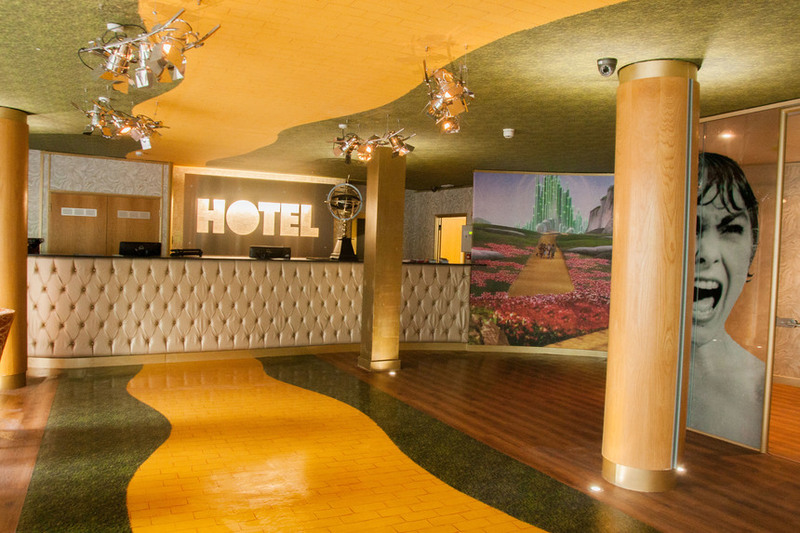 Following an art and movie theme, a few of our most festive rooms are the royal and red Notorious room and gorgeously golden Sound of Music room. Filled with character and charm, each room is carefully designed in accordance with its theme. 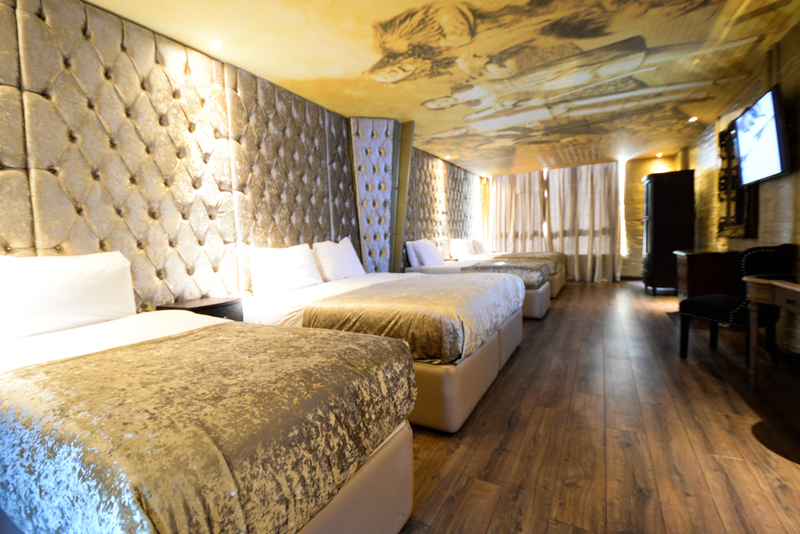 Our themed hotel rooms are best loved for their cosy feel yet impressively spacious layout. Offering you plenty of flexibility, you’ll have the perfect blend of privacy and independence as well as a sociable stay. Rooms at Arthouse include fantastic facilities guaranteed to impress. These include our whirlpool baths and kitchenettes. So you’ll have everything you could need to pamper before the night or recover the following morning! Our rejuvenating baths are perfect for sinking into for some restoration after a night on the town. 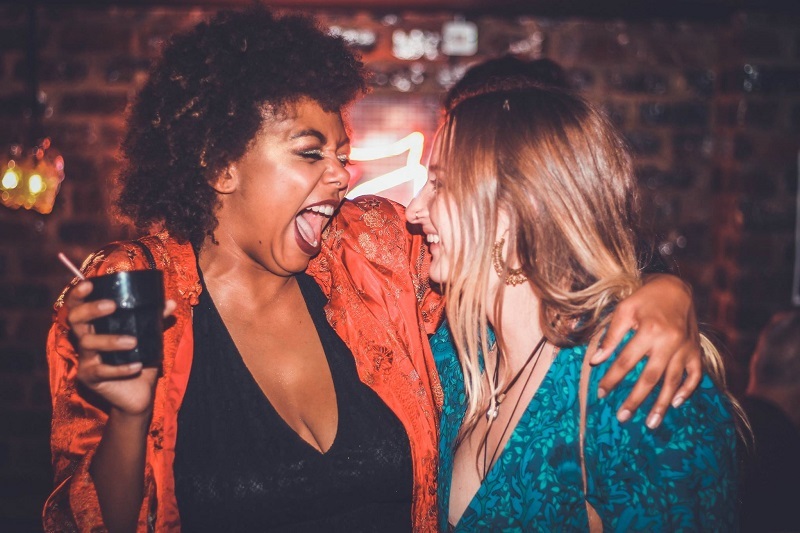 This Christmas, enjoy the ultimate girls night out in Liverpool at Mulholland. Forget the Magic Mike DVD and treat yourself to the real deal with a night of entertainment. This sizzling show is set to bring a night of Christmas cheekiness and non-stop festive fun. You can look forward to showstopping performances, singing, dancing, party games and plenty of prizes! If you’re stuck for Christmas gift ideas, our Magic Mike night could be the ultimate Christmas surprise for your best friends. 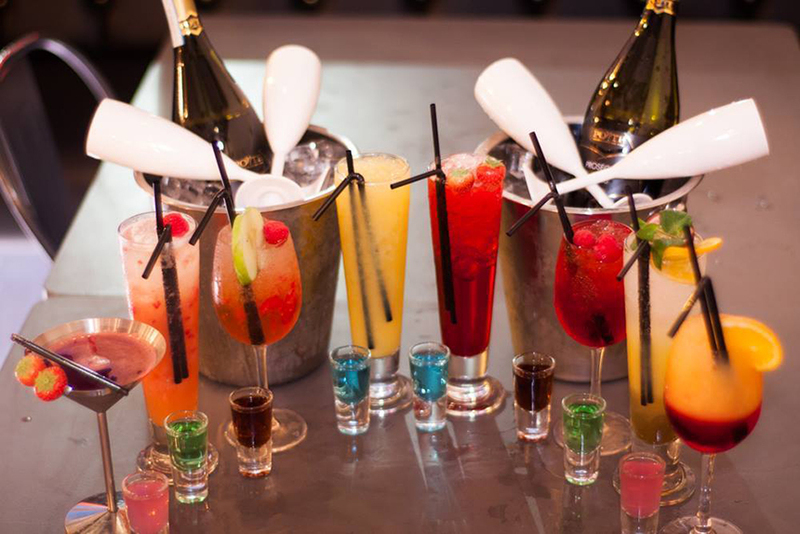 The perfect start to your Christmas night out with the girls, this is one special festive treat! So this Christmas, join us at Arthouse Hotel for a Christmas party weekend that you’ll never forget. 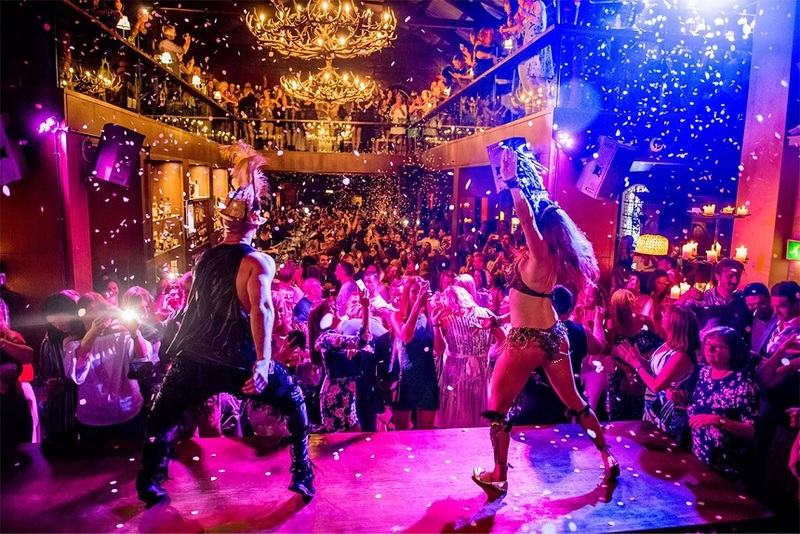 To enquire further, book Magic Mike tickets or to book your festive party, you can get in touch today on 0151 601 8801.